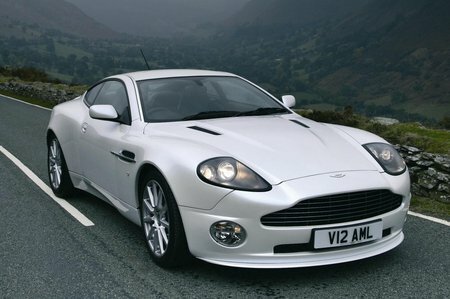 Used Aston Martin Vanquish Review - 2001-2007 Servicing, MPG, Insurance | What Car? What used Aston Martin Vanquish coupe will I get for my budget? How much does it cost to run a Aston Martin Vanquish coupe? If you keep your bank account in Switzerland, you probably won't have too much to worry about. For the majority of us, a car like this is not going to be cheap to run. It won't be cheap to buy, either. When the Vanquish first appeared there was a two-year waiting list and only 30% of the 300 built each year were destined for the UK market. Prices remain strong, so your problems won't be over once you have tracked down the ideal car on a dealer's forecourt. Both cars are hideously thirsty. Officially, the V12 returns 16mpg and the S 14mpg; but use either in anger and that fuel figure will slide all too easily down into single figures. The short fuel range between refills is a pain, too. Servicing and group 50 insurance ratings inflict further financial hurt.